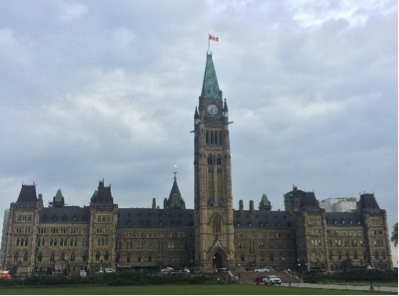 The international open data community (+1200 people) gathered last week in Ottawa, Canada, for the 3rd International Open Data Conference (IODC15). Open Contracting is still a relatively new open data initiative, and the IODC15 presented a great opportunity for our community to share experiences with implementation of the Open Contracting Data Standard (OCDS). As one of our partners said “contracts and contracting are a hidden set of rules governing the way the world works” and we came away with great feedback on how the standard is currently satisfying user needs and insight on how to make it even more useful. The OCDS design process focused heavily on the user needs from contracting data as well as the feasibility of publication. The team began with a review of existing best practice in the transparency of planning, procurement and management of public contracts. In addition, we canvased g user needs of nearly 300 individuals, representing publishers, policy makers, project managers, auditors, software developers, contractors associations, market aggregators, donors, and civil society organizations. However, the real test of whether the OCDS is ‘user friendly’ or achieving its objectives is happening right now— in its implementation. Over the course of #IODC15, some of our early adopters from Canada, Colombia, Indonesia, Mexico, Mexico City, Nepal, Paraguay, Romania, and Ukraine updated us on their progress. Projects in Canada and Ukraine are already piloting implementation of OCDS, while the others have OCDS implementation objectives for 2015. Over the course of IODC15, we got some excellent feedback on the OCDS, including what is going well, and what more is still needed. During a dive deep into the technical challenges, most of the questions raised by the participants related to applying the extensive schema and structure of the OCDS to their local context. For example, the OCDS envisages three types of contracting processes (competitive, restricted, and direct) but laws in different jurisdictions may envisage additional sub-types. In addition, another issue related to expressing OCDS in multiple languages. In Canada, for example, the Government must publish all data, including metadata, in both English and French. Finally, a major challenge faced by all of our partners is how to compile the open contracting data from multiple, fragmented systems. For example, in Indonesia, data related to a single contracting process may be found in eleven different systems. At the same time, our partners reported that the OCDS was a useful tool to harmonize and publish contracting data to an international standard. Participants also shared experiences from making the policy case for OCDS implementation as part of larger procurement reform initiatives. Policy makers, who are not tech-savvy, may not understand the benefits of OCDS. Arguments that emphasized the usefulness of the OCDS as a tool to implement existing legal requirements and to unlock efficiencies through better business practices were more successful at winning support for adoption than arguments based on transparency and accountability. Likewise, presenting OCDS as a tool to boost small business participation, help minority owned businesses succeed, facilitate agile procurement, or green supply chains were reported to be more attractive to policy makers. In order to be useful, open data must be used. Most people do not have the ICT skills to build their own tools to analyze open contracting data and this is the biggest area of demand for the OCDS. If data is internationally standardized, then value-for-money and other types of interpretative tools can be adapted and shared by users of the data. To date, some great tools have been developed to use open procurement data in the Ukraine, Georgia, Nepal, Paraguay, Slovakia, and even across Europe. It will be a key priority for OCP going forward to promote the development and adaptation of tools that can be used to process and interpret OCDS data. In particular, tools that ‘join up’ data related to budget, aid, contracting, corporate registries, and spending will be needed to truly deliver on policy objectives of improved public financial management. For this reason, during IODC15, the Open Contracting Partnership, along with the International Aid Transparency Initiative, OpenCorporates, and Open Knowledge, formed a coalition of collaboration called the Joined Up Data Alliance. OCP is committed to helping OCDS implementers get the most out of the standard. The partnership is committed to act as a connecter to ensure that learning and impact related to Open Contracting is documented and shared. In addition, we have set up the OCDS Help Desk, which is available to answer any technical questions related to implementation of the OCDS. Our implementers and developers can also talk to each other and obtain crowdsourced feedback by joining our OCDS mailing list, which you can do by sending an email to standard-discuss+subscribe@open-contracting.org. Ultimately, the OCP is committed to helping our partners to use open contracting data to deliver real impact for citizens. We were delighted to share our learning and impact to-date at IODC15 and look forward to future collaboration.